The maximum pressure: 3000 V, AC 50 Hz resistance. Impact resistance: more than 10m / s2 (about 10G). It has good features of shock resistance. Great for replacing your old or broken one. Insulation resistance: ≥100Ω. Manufacture Part Number: XD2PA24CR. 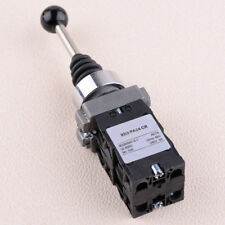 Item included: 1 x Wobble Stick Switch. Current: 3A. Color: As picture show. Operate Torque: X& Y axis 90gf and 250gf, Z axis 330gf. X& Y Axis Electricity Corner: ±25°. Z Axis Electricity Corner: ±45°. Also note that monitor settings may vary from computer to computer and may distort actual colors. ● We are trying our best to bring you high quality products and best service to you. If you are not satisfied with our product or service. We will try our best to resolve any problems. ● 12 months Warranty. Suitable for arduino platform compatible arduino sensor interface. 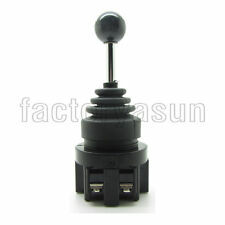 Quality joystick, long life, stable performance. Press down on the joystick, touch switches can be deployed all the way as a digital output. The shape of the PCB is suitable for your hands. Also you can use D12 / D13 to be software serial port to connect it with serial Bluetooth module. - Buttons: with beautiful color key cap and pins are all float, so you should pull up it in your MCU(Active low level output). Overall Size (Approx.). We are committed to resolve all issues in a friendly and satisfactory manner. ith : 10A;Delination Angle : 30 Degree;Fit for Mount Panel Thickness(Max.). : 7.5mm/0.3". Mouse RAZER Kinzu. [5 pcs] D2F-01F Subminiature Switch 0.1Amp 30V. manufactured by OMRON in Japan. Direction:4(front ,back,left ,right). If you are not satisfied with our product or service. We will try our best to resolve any problems. ● We are trying our best to bring you high quality products and best service to you. X& Y Axis Electricity Corner: ±110°. We would be with you to resolve the case. We will check each item clearly before we sent it out. Otherwise, we will relist the item and report an unpaid case. (Manufacture Part Number: XD2PA24CR. 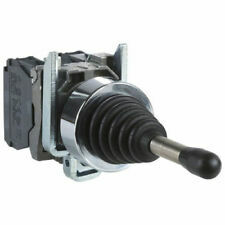 Item included: 1 x Wobble Stick Switch. Color: As picture show. 4) Easy installation. Angle: ±30°. 1 x Switch. If you do not receive our reply within 48 hours, pls. If you are satisfied with our service, pls. X& Y Axis Electricity Corner: ±110°. We would be with you to resolve the case. We wll check each item clearly before we sent it out. Otherwise, we will relist the item and report an Unpaid strike. 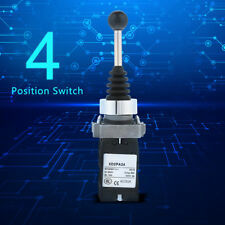 (4 Position Four-Way Cross Maintained Latching Joystick Wobble Switch HKA1-41 AC 380V 15A. Item included: 1 x Joystick Switch. Action Type: Latching. Position: 4 Position. 2) Color may vary slightly due to the color setting of each individual monitor. 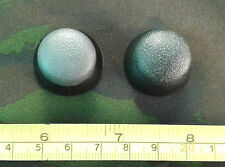 Furthermore as with gaming console thumbsticks this module includes a push switch when the stick is pressed in. Pin pitch VRx X position. Vry Y position. SW Switch state. We are here to help you in any way we can. 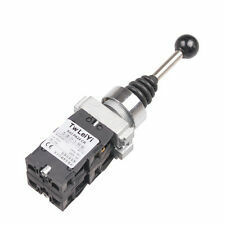 This is a lever switch, which triggers when a sufficient force is applied to the lever. On doing so a connection will be made. Main Colour Suitable for 3d printers. Form Factor Lever switch endstop. 1/2" Brass Fireworks Fountain Nozzle Spray sprinkler Head Graden Pond. 1M DIY Sewing Soft Pleated Chiffon Fabric Craft Material Dress Skirt. Stick length: 65mm. Adjustable Light Holder E27 Socket Gooseneck Clamp / Mount Led Clip On Light. Features: 1.Every product has a unique Manufacturing Part Number label on the inner package that proves it has been qualified,which include Part Number,Model Number and inspection date information; 2.If you have any questions about the item,please provide us the Manufacturing Part Number for checking,your profits will be guaranteed. 3.Operate at 2 directions, momentary type operation. 4.Voltage below 600V is available. 5.Rated current is 10A,rated voltage is 250V. 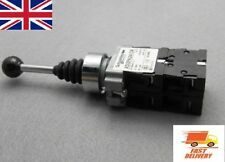 6.Widely used in air solenoid starter, contactor, relay remote control. Specifications: Material:Plastic and Metal Color:Black and Sliver Brand name: Unbranded. Impact resistance: more than 10m / s2 (about 10G). It has good features of shock resistance. Great for replacing your old or broken one. Insulation resistance: ≥100Ω. The maximum pressure: 3000 V, AC 50 Hz resistance. Main Colour Suitable for 3d. Pin pitch Form Factor This is a lever switch, which triggers when a sufficient force is applied to the lever. On doing so the output will read LOW. Lever switch endstop. Mount Hole Dia: 22mm / 0.87". Main Body Size: 40 x 30mm / 1.6" x 1.2"(L W). Net Weight: 115g. Lever Length : 65mm / 2.6". 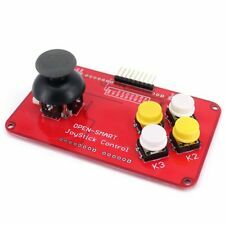 1 x Joystick Switch. - 4 Position Self-restoring: The handle can be moved in four directions: forward, backward, left and right. And it will automatically reset to the center position when released. Mount Hole Dia: 22mm / 0.87". Main Body Size: 40 x 30mm / 1.6" x 1.2"(L W). Lever Length : 65mm / 2.6". Net Weight: 115g. Description: Spohn & Burkhardt VNSO-22-F11E-ARKK Joystick Hand Operated Controller NHP - New Please note - this is pre-owned, surplus stock purchased at auction and resold. Condition: New, pre-owned, unused. There is no packaging. The item is fine - clean and unused. There are no instructions. There are no accessories. 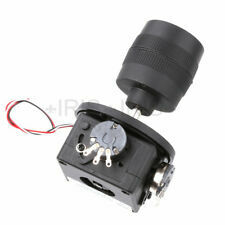 1 Monolever Joystick Switch. Position: 2. Touch Type: 2NO. The real color of the item may be slightly different from the pictures shown on website caused by many factors such as brightness of your monitor and light brightness. Press down on the joystick, can be sent all the way to touch switches, digital output, has pull. Note: Light shooting and different displays may cause the color of the item in the picture a little different from the real thing. It is far from CHINA. Description: Spohn & Burkhardt VNSB2-54-22EARHU Joystick Hand Operated Controller NHP - New Please note - this is pre-owned, surplus stock purchased at auction and resold. Condition: New, pre-owned, unused. There is no packaging. The item is fine - clean and unused. The item is a little dusty from uncovered storage, and there are the remains of local inventory and auction stickers stuck on the casing. 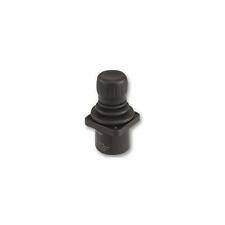 Mount Hole Dia: 22mm / 0.87". Main Body Size: 40 x 30mm / 1.6" x 1.2"(L W). Net Weight: 115g. Type : 2 Positions Latching. Operate Torque: X& Y axis 90gf and 250gf, Z axis 330gf. X& Y Axis Electricity Corner: ±25°. Z Axis Electricity Corner: ±45°. Insulation Resistance: 50MΩ @ 500VDC, 60 sec. We would be with you to resolve the case. Operate Torque: X& Y axis 440gf and 250gf, Z axis 880gf. X& Y Axis Electricity Corner: ±25°-30°. Z Axis Electricity Corner: ±45°. Temperature Coefficient Resistance: ±400 ppm/°C. Insulation Resistance: 50MΩ @ 500VDC, 60 sec. 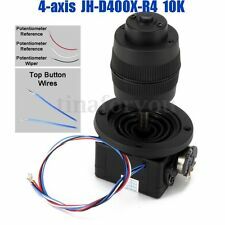 Cross joystick is a bi-directional 10K resistor, with the rocker in different directions, the tap resistance with the change. Output signal: the module special two-way analog output and a digital output interface, the output value corresponding to (X, Y) biaxial offset, the type of analog; keys that the user press the Z axis, Its type is digital switch. (1) Operate at four directions, with the 30 degrees declination of operation handle, self-locking. Suitable for: Mount Panel Thickness(Max.). 7.5mm/0.3". Item included: 1 x switch. 2) Color may vary slightly due to the color setting of each individual monitor. Operate Torque: X& Y axis 90gf and 250gf, Z axis 330gf. X& Y Axis Electricity Corner: ±110°. Z Axis Electricity Corner: ±45°. We would be with you to resolve the case. We wll check each item clearly before we sent it out. X& Y Axis Electricity Corner: ±110°. We would be with you to resolve the case. Resistance Value: Standard 10KΩ. Curative imaging system. We wll check each item clearly before we sent it out. Otherwise, we will relist the item and report an Unpaid strike.